The human Growth Hormone or GH as it is commonly known is an essential protein based hormone needed for maturation of the human and animal bodies. It is the catalyst for cell growth and regeneration that occurs in humans and other animals. Released into the blood stream by the pituitary gland which is located at the base of the skull the growth hormone is responsible for the progressive growth of all internal organs excluding the brain. Effects of GH One negative health effect is an insufficient amount of GH in the body. This malady stunts the growth of children during their natural maturing stages. The growth hormone deficiency is characterized by ‘a short stature’ or ‘dwarfism’ and under developed muscle mass. It has also been noted to cause delayed sexual maturity in adults. The human growth hormone increases muscle mass and composition lending height to the child and it also causes mineralization of the bones. Just the antithesis of too little GH is too much GH. Excessive production of the growth hormone can usually be attributed to a tumor located on the pituitary gland. Some of the effects are pressure on the optic nerves, over production in bone growth causing thickening in the jaw, fingers and toes and decreased sexual function. Doctors have prescribed GH for children who suffer from GH deficiency. It is illegal to take GH without a written prescription from a certified physician. 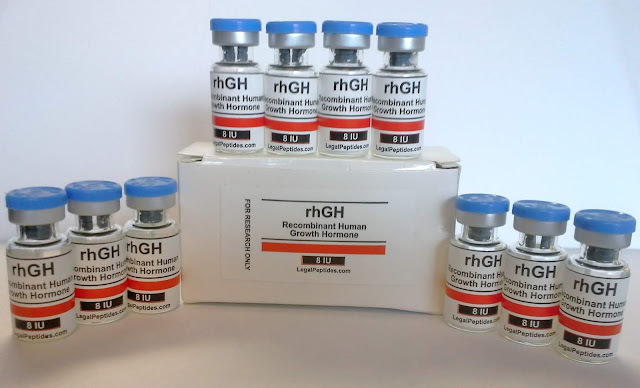 The human growth hormone has become a latter day ‘drug of choice’ for athletes looking to enhance their physical performances. Many court cases of professional athletes using the performing enhancing products such as GH are all too common news reports. This all stems from the belief that by ingesting or injecting the GH muscle mass can be increased, however there have been no reported studies to substantiate the claims. The controversy of using growth hormone in the farming industry is another subject in itself. The Federal Drug Administration of the United States has approved the use of GH in dairy cows to produce more milk however, they have banned the use of GH to produce more beef. There is no clear explanation as to why the use of bovine GH was approved for milk and not beef. GH is a very necessary endocrinal hormone secreted for the expressed purpose of stimulating growth and structural maturity of the human body.